Dermalogica Age Smart Dynamic Skin Recovery SPF 50 helps hydrate and defend against the internal and external causes of skin aging. Formulated for mature or prematurely-aging skin, this emollient daily moisturizer with spectrum SPF 50 helps encourage skin elasticity, firmness and hydration. White tea, tripeptides, vitamin C and yeast extract help regulate the formation of collagen-degrading MMPs brought on by UV rays. Active Ingredients: Avobenzone (3.0%), Octinoxate (7.5%). The salon where I first tried Dermalogica suggested I try "Age Smart Dynamic Skin Recovery", since my skin was reacting to other moisturizers. 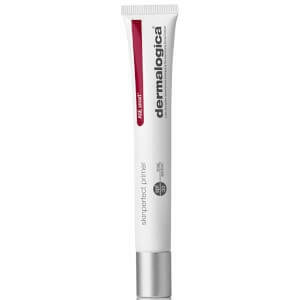 I have tried going back to other moisturizers, but always come back to Dermalogica Dynamic Skin Recovery. I love the silky feel of the cream. It is very light weight and it is SPF 50!! 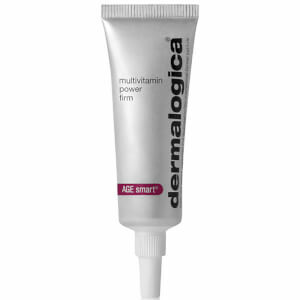 I have used Dermalogica for eight years. Sorry to say that I do have wrinkles, but of course, they were there when I started using this product. I have VERY dry skin and this is the first product that, I have to say, keeps my skin hydrated during the day. I use about 5 of their products and very satisfied. The hydrating booster under the rest of them is the best! I bought this recently at the big Cyber Monday promo and I must say that I like it better than my previous well known and pricey (though less pricey) brand of facial sunscreen. The smell is divine and it is as light as a feather yet moisturizing. 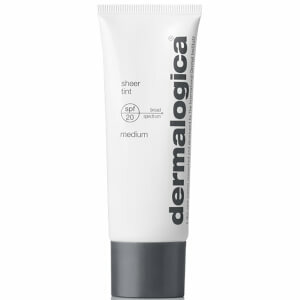 I live in the South with mild winters, but my skin tends towards the dry side...this cream does the trick over my Dermalogica Smoothing Cream (also the best). I think it will work very well on its own in the humid summer. Love the way the cream quickly absorbed into my skin. I noticed the difference in tighter skin, better complexion, and less oily skin within a few days. I like it so much that I bought another bottle as backup within a week of using the first one. I have used this product for years. At age 65 I have few wrinkles. I think this age smart cream works. I loved the way it felt on my face and the way it smoothed into my skin. I really like the way it went on with a light feel and blended into my skin very smoothly.